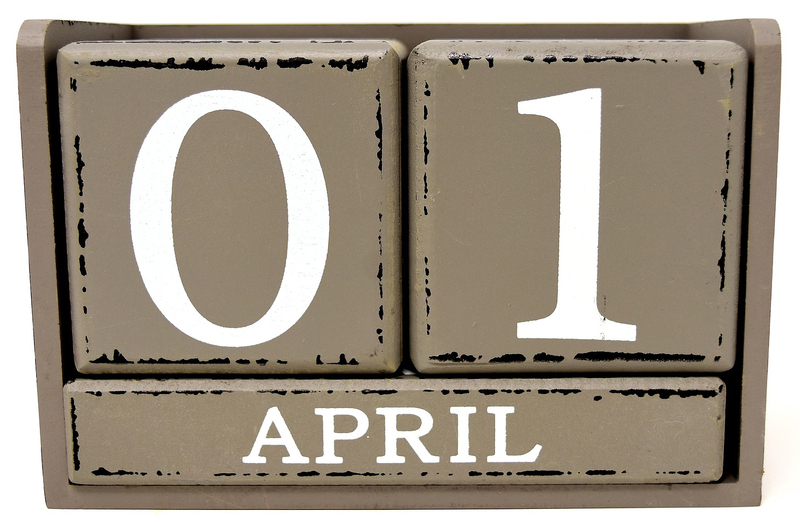 Because April 1 has such a long history as a day of pranks, jokes, and hoaxes (dating back to, apparently, at least the 16th century), it's easy to feel sorry for someone whose birthday falls on that day. Not only was I supposed to be one of those long-suffering souls, so was my brother. My mother told me more than once (what was she trying to impress upon me? hmmm . . . .) that the original due date she was told for me and then for my brother the next year was April 1. I took a week longer, but not enough to worry her. When she did go into labor for my birth, she told me had a spinal and was reading a Mickey Spillane novel while I was being born. I was born April 9, the anniversary of the official ending of the American Civil War. My brother, however, was apparently comfortable where he was and didn't want to leave. Two weeks after the due date had come and gone, my mother decided she had had enough and went out dancing. Boom! She went into labor, and so my brother was born April 15, which is Income Tax Day and the anniversary of the death of Abraham Lincoln and the sinking of the Titanic. I don't know — is that worse than being an April Fool? One of my nieces was born on April 1. And of course, when my brother called to tell us the good news, we did not believe him. I hadn't thought about that problem with an April 1 baby. How long did it take him to convince you he was telling the truth?